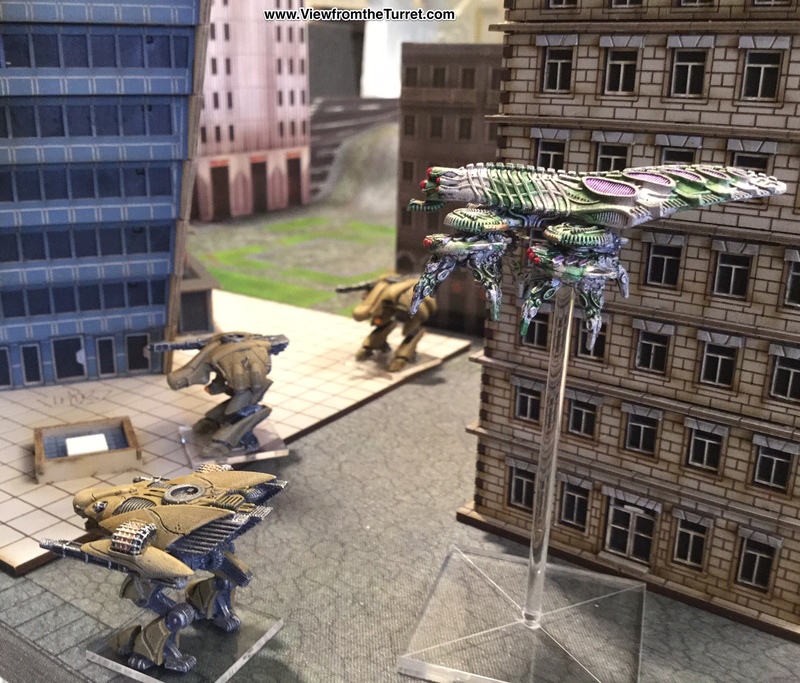 4Ground 10mm Urban Zone buildings with F.A.T. Mat Hi-Tech mat and Hawk Wargames’ figures. Figures based on custom clear acrylic bases from Litko.